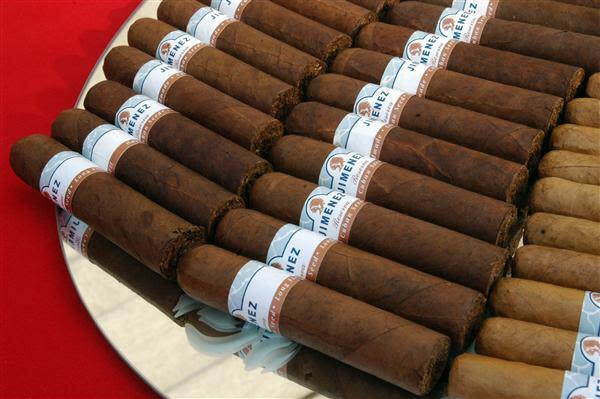 Jimenez Tobacco a family tradition since 1903. The Jimenez family has been in the cigar business for more than 100 years. A brother and sister team, Humberto Jimenez and Nelda Pozo Jimenez, emigrated to Newark, NJ from the Oriente region of Cuba in the late 60's. For the past thirty years, they have carried on the family tradition of meticulously hand rolling premium cigars with renowned Cuban craftsmanship. As master blenders, and the heart and soul of Jimenez Tobacco, Humberto and Nelda became well established in the community and have gained a strong and loyal following.When you try one of their five-blend cigars, you are sure to experience an enjoyable smoke.